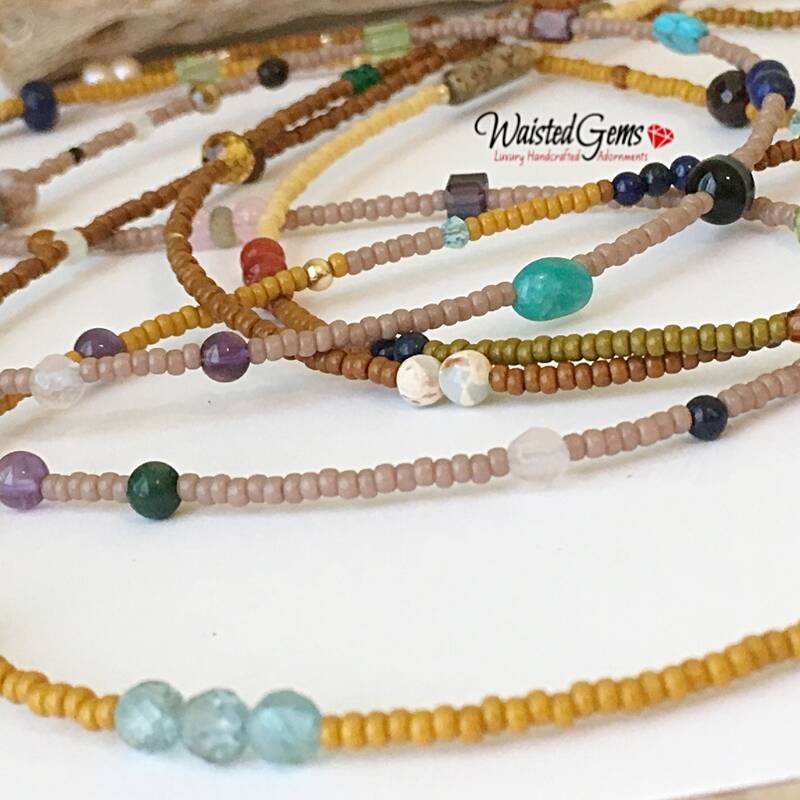 Sweet and Savory Body Beads are handcrafted with High-Quality 11/0 (very small) seed bead and 2mm thru 4mm 14k GF beads, and Gemstones on durable beading wire and 14k clasp. 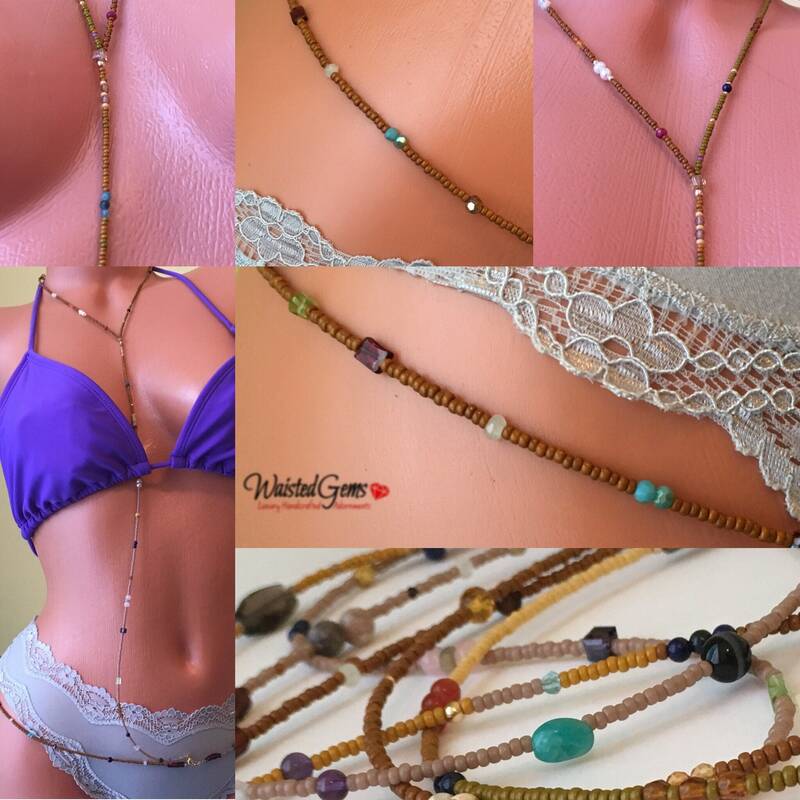 This body chain can be worn daily it can be worn under your clothes or under your clothes. 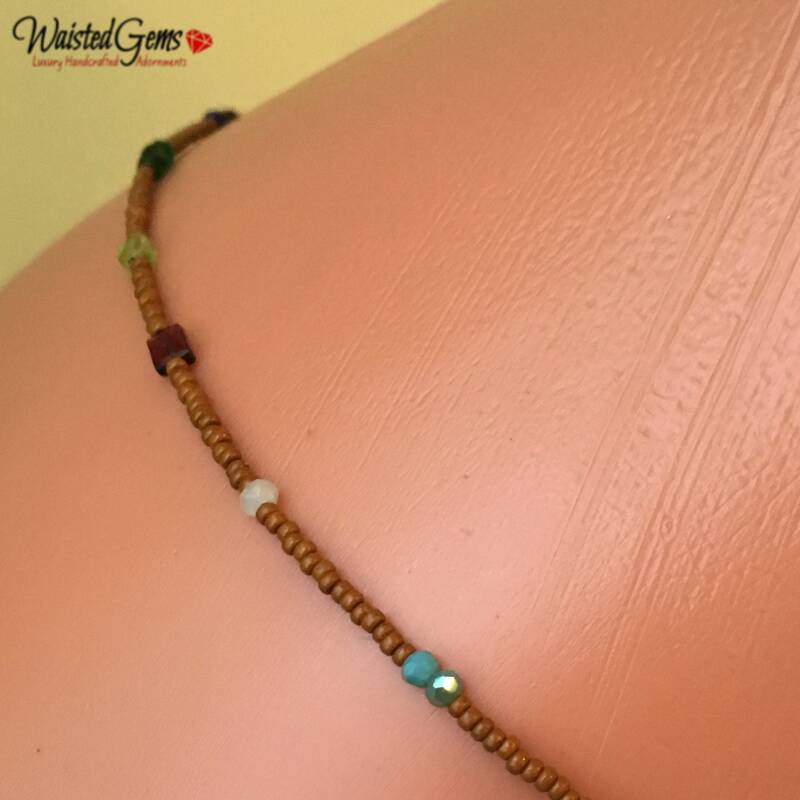 No two orders will be the same but similar in style because some sizes require more beads than others. 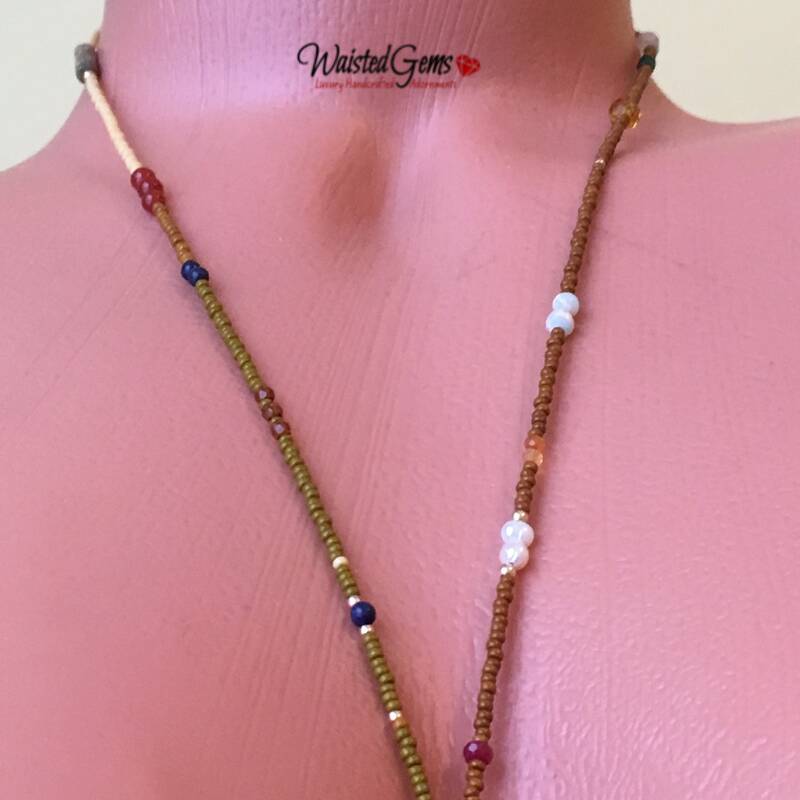 The neck piece has a 14k/20 clasp and is 19 inches long where it is made with a torso strand that has a lobster claw clasp that is to be connected to your waist bead making this a body bead while connected. 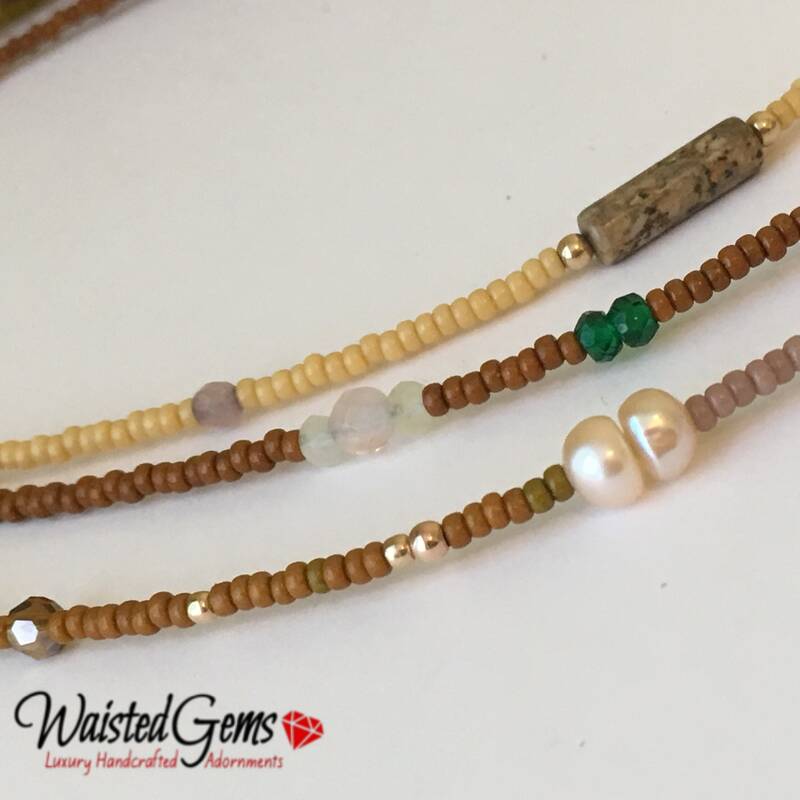 The waist bead that will come with this item can be worn alone without the body and necklace attachment. 1 - Necklace and Body Attachment. 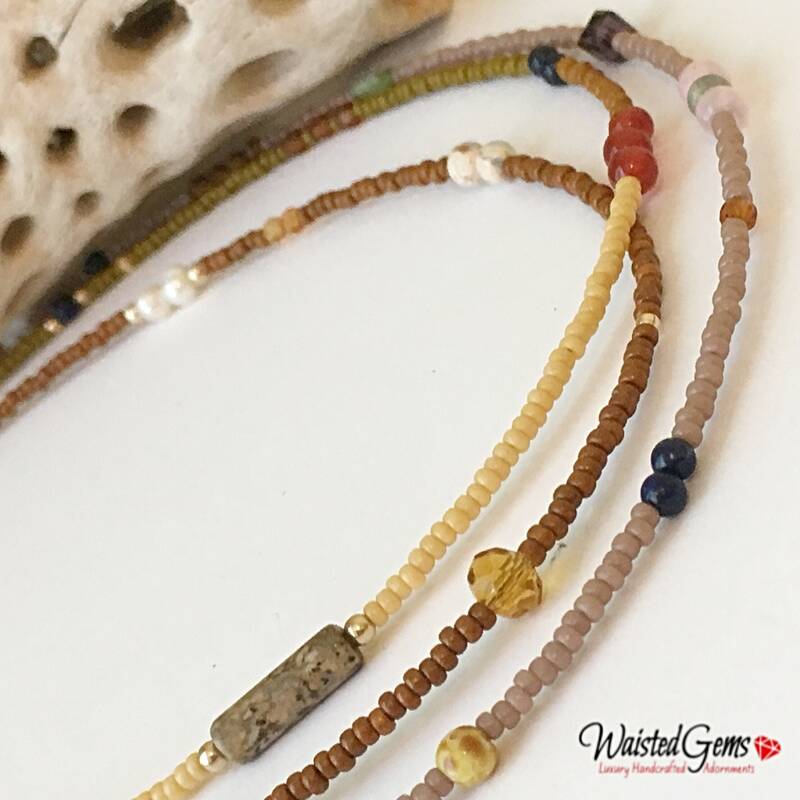 Each order is meticulously handcrafted using all natural materials, which include glass, semi-precious gemstones, sterling silver, and 14k gold. 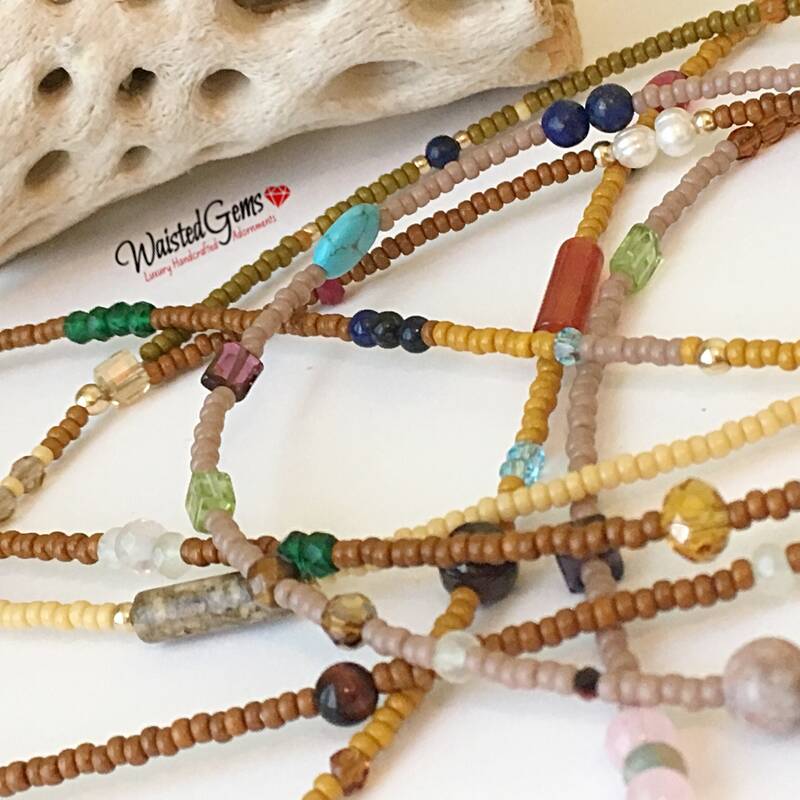 I use top quality supplies and beads to ensure long-lasting wear. All pieces are guaranteed if you should ever need an adjustment or a repair. 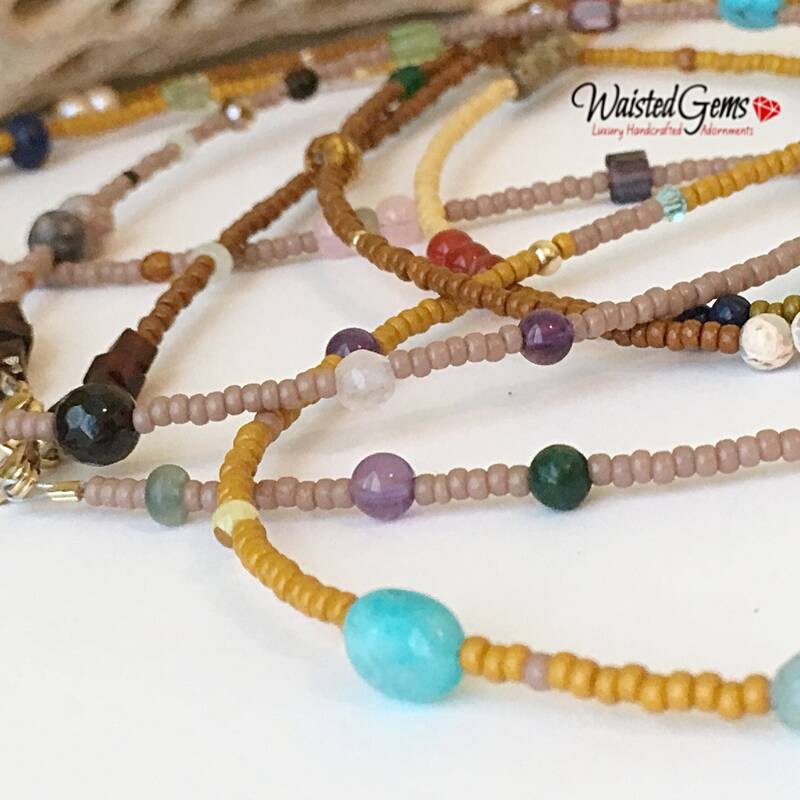 Here are a few of the gemstones that these waist beads are made with. 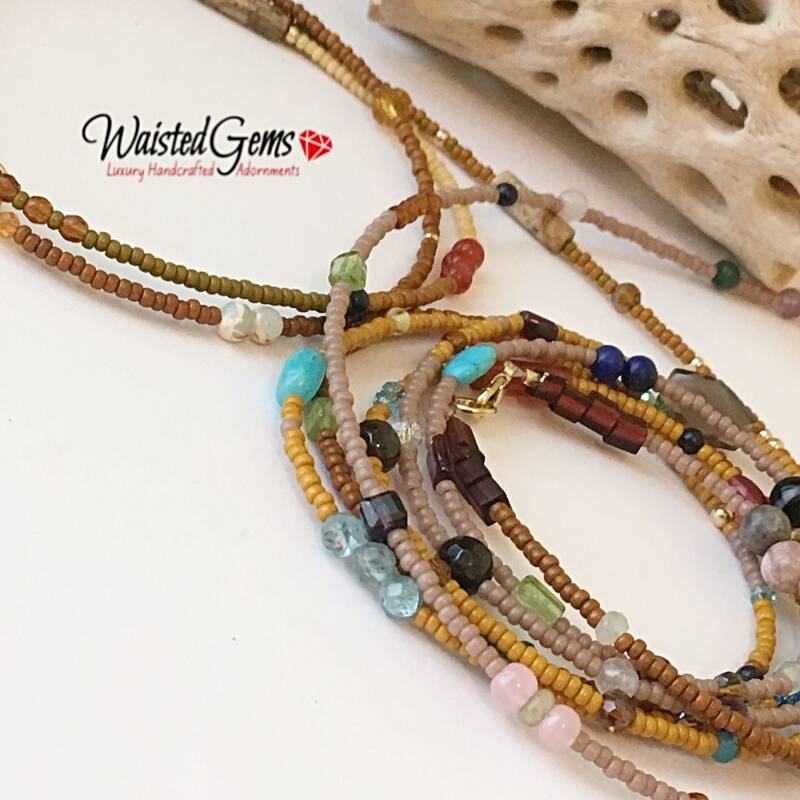 All the gemstones that were used to make this waist bead are not included in this list.